This recipe showed up at a pot luck girls night and everyone raved about it, we couldn't believe how simple it was either. I rushed out for the ingredients the next day and YES, it's super easy, quick and best of all - yummy! Put a sleeve of saltine or a box of Ritz crackers in a baggie. Crush finely with a spoon. 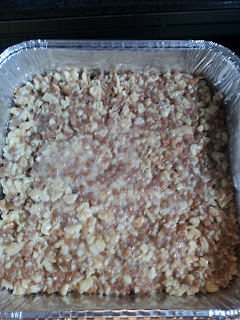 Pour into a bowl and mix with 1 can of Eagle Brand and 1 bag of Skor Chips. When combined, pour into a 8x8 baking pan. Bake at 325 for 8-10 minutes, until just browning on the top. A favourite of everyones, perfect to bring to a friends for a snack, goes great with coffee and only takes a few minutes to make! You couldn't ask for an easier treat. A favourite for breakfast, a cool afternoon treat or a late night drink while watching a movie, fruit smoothies are perfect any time! We like to make them in the morning before school, the kids make their own and get to put in whatever they want! There are a million different ways to make a smoothie, here is what we do..
Because we like to make our own we use separate glasses and the magic bullet. You can also make one large batch in the blender. This is great because the kids can be involved adding their own fruit how they want it, it's healthy, yummy and perfect on a hot day! 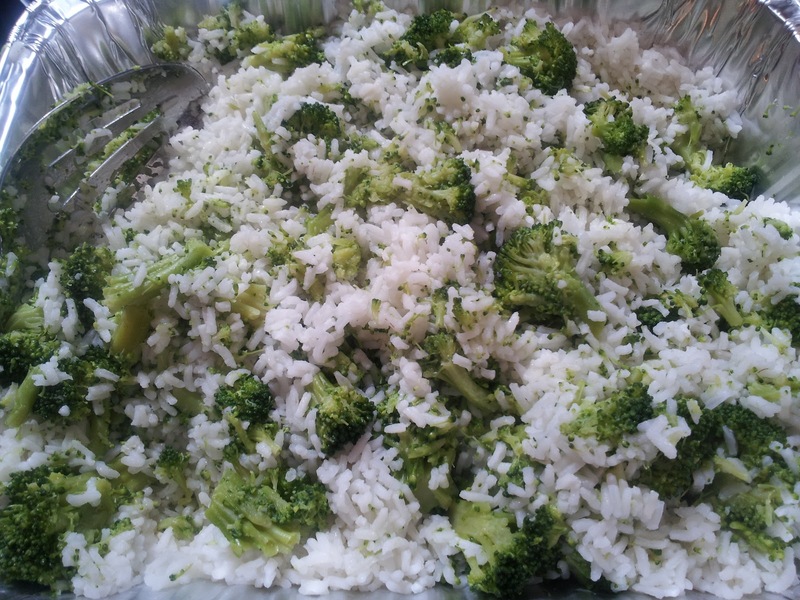 I mentioned before that I love rice dishes, this is a favourite of mine and a much requested dish at family events. It's a tasty side dish that goes great with ham, steak, chicken - anything! Make 6 cups of rice, either to start or I often make it earlier in the day or the night before. I just use minute rice. 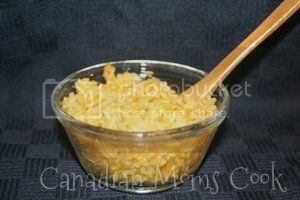 When ready to make this dish, put the cooked rice in your casserole dish. 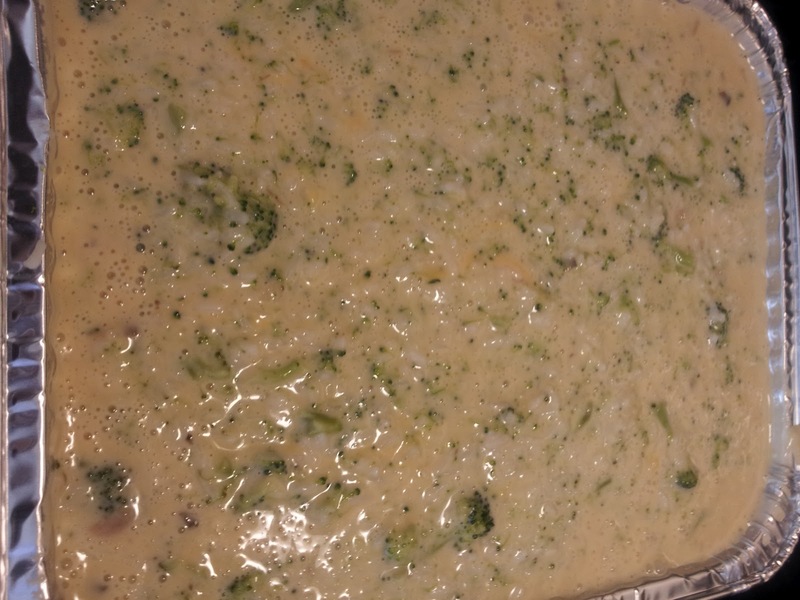 Cook fresh or frozen broccoli until very tender. Drain and stir into rice. Step 1, 2 and 3 can of course all be done at the same time on the stove. Add sauce to the rice and broccoli in the casserole dish. Cover in tin foil and bake at 350 for approx 30 minutes. A really good side dish, one that family and friends will rave about! It reheats in the microwave well - great for lunch the next day. 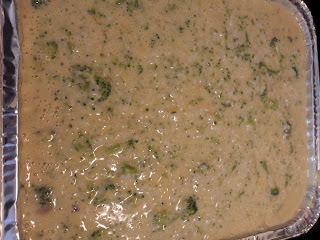 You can make the recipe a little more skinny by using low fat cream soups, skim milk and only half a pkg of Velveeta. Peel and chop sweet potato. 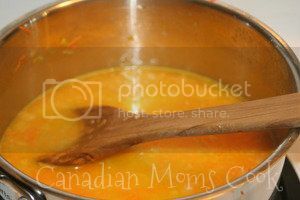 Bring to a boil in a pot full of water and cook until knife inserted comes back out easily (approximately 10 minutes). Meanwhile, in a large bowl, combine flour, baking powder and cinnamon. 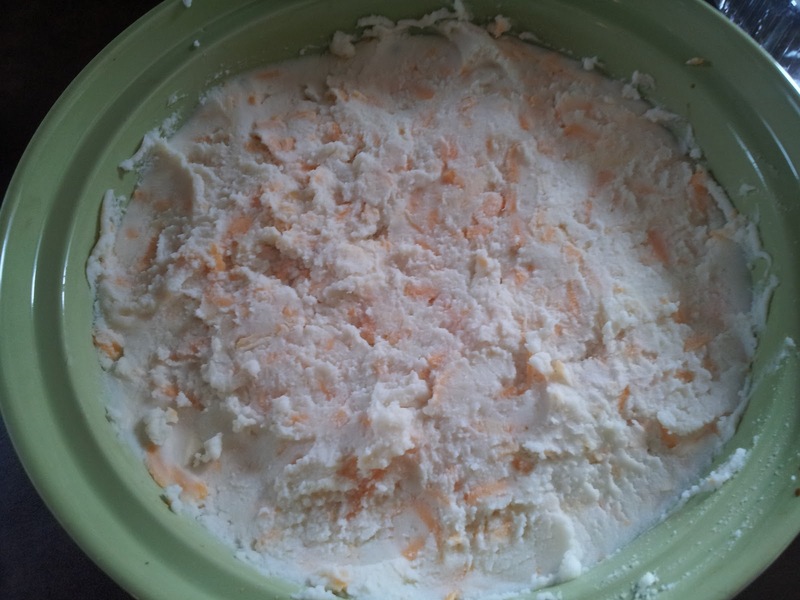 Mash the cooked sweet potato, measure out 1 cup full and add syrup, butter, milk, eggs and vanilla. Combine wet and dry ingredients together. Mix well. 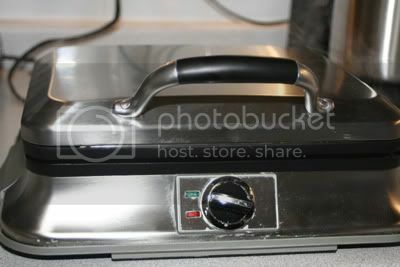 Heat fry pan on medium heat with 1 Tbsp of oil. Scoop approximately 1/4 cup batter to make pancakes. Cook until bubbles begin to form on the top. Flip over and cook for another minute or two. 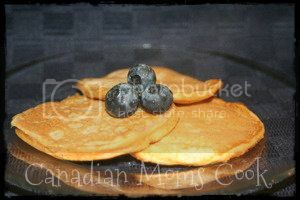 These pancakes turned out so moist and delicious and they are jam packed with goodness from the sweet potato! My son couldn't eat enough of these, however my daughter said that while she liked them, she much prefers plain pancakes. You can freeze pancakes to reheat for fast and healthy breakfast on another day! 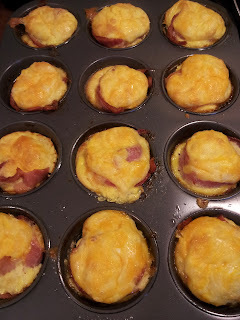 Line two 12 cup muffin tins with papers (or grease them). In a large bowl, stir together all dry ingredients (including raisins). In a medium bowl, stir together wet ingredients. Fill each muffin cup with approximately 1/4 cup batter. Bake for approximately 20 minutes or until toothpick comes clean out of the center. Mom likes these muffins because they squeeze in some veggies into the kids. We mixed the dry ingredients and left them covered on the counter over night. We also shredded the carrot and kept it in the fridge in a covered medium sized bowl. In the morning, these muffins were a snap to throw together and bake. They were cooled down just in time to pop one in the school lunch for the day! The kids devoured these muffins. They are moist and flavourful! 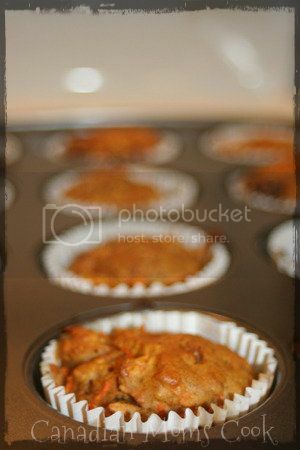 Note: You could use whole wheat flour instead of all purpose flour, but the muffins will turn out much more dense. A favourite treat at special events, I have finally found a recipe for soft pretzels that not only taste like the real thing, they are even better!! 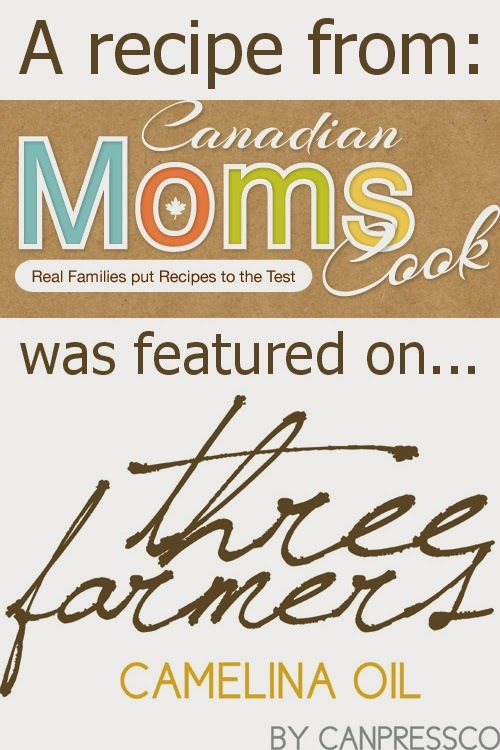 I found this recipe thanks to DK Canada, publisher of the beautiful Step By Step Bread - with gorgeous illustrations, great instructions, they don't leave you wondering about anything (for which I am very thankful). I am so happy to be able to share this recipe with you, straight out of the book. Be sure to pick up a copy for more amazing recipes, would make a beautiful gift as well. 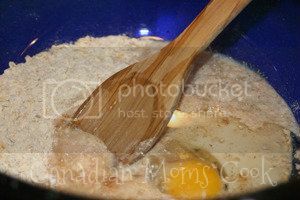 1) Put the two types of flour, salt, and sugar into a large bowl. 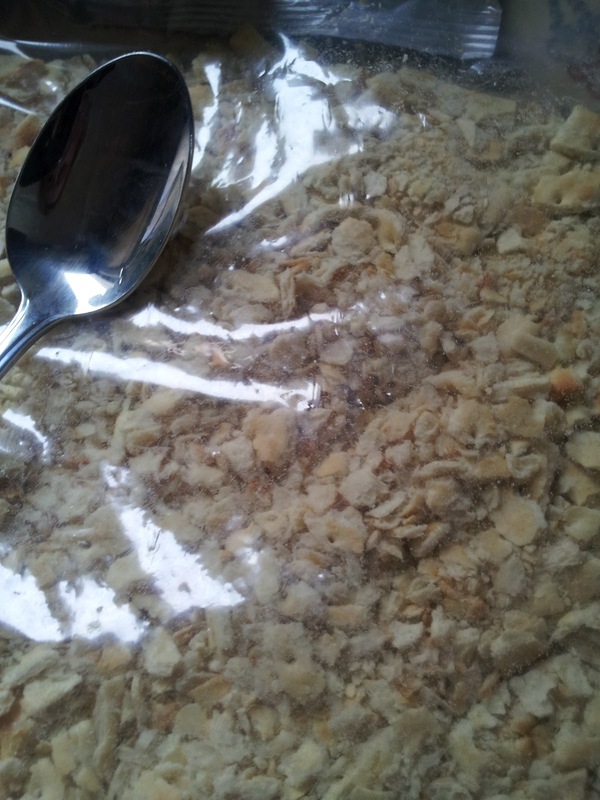 2) Sprinkle the yeast over 11⁄4 cups warm water. Stir, leave for 5 minutes, and add the oil. 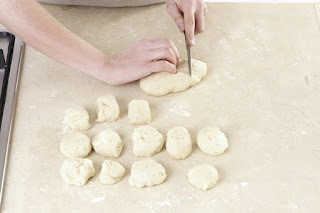 3) Gradually pour the liquid into the flour mixture, stirring to form a soft dough. 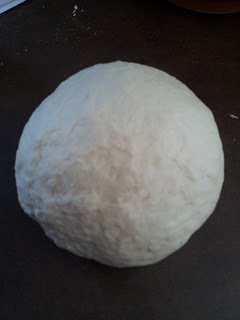 4) Knead for 10 minutes until smooth, soft, and pliable. Transfer to an oiled bowl. 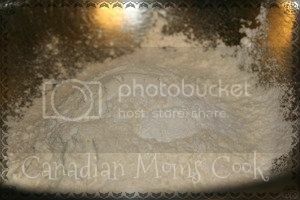 5) Cover loosely with plastic wrap and leave in a warm place for 1–2 hours, until nearly doubled. 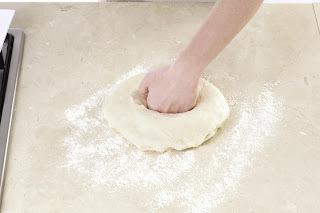 6)Turn the dough out onto a lightly floured work surface and gently knock it back. 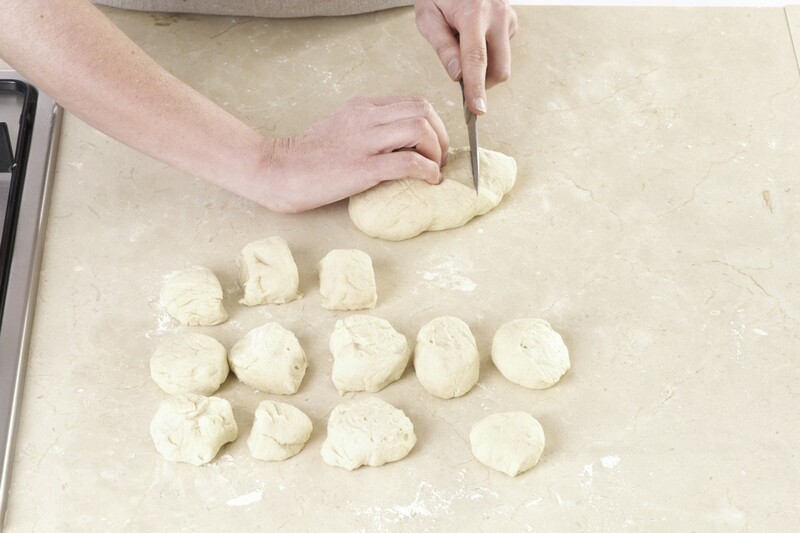 7) Divide the dough into 16 equal sized pieces, using a sharp knife to cut it cleanly. 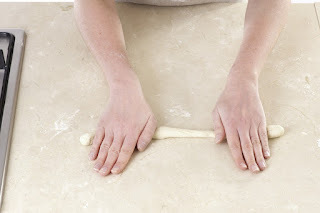 8) Take each piece of dough and roll it under your palm to make a log shape. 9) Using your palms, continue to roll the dough toward each end, until it is 18in (45cm) long. 10) If difficult to stretch, hold by either end and rotate in a looping action, like a jump rope. 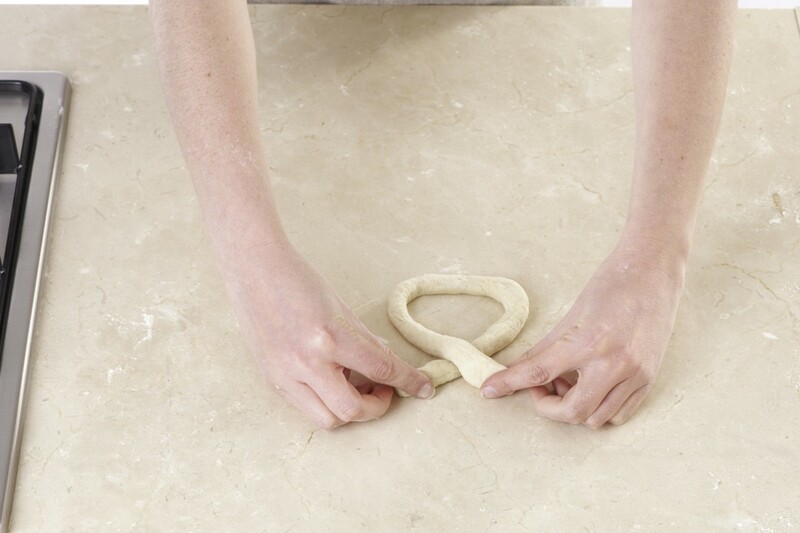 11) Take each end of the dough and cross them over each other, forming a heart shape. 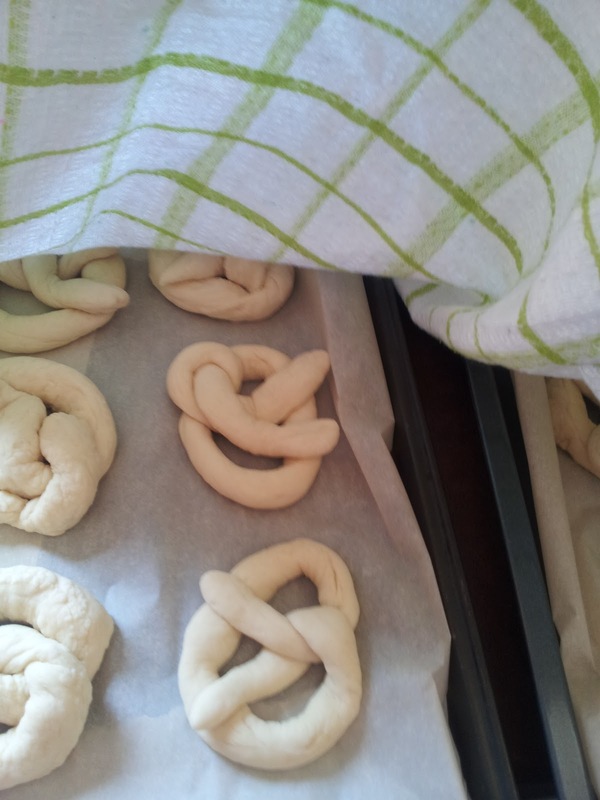 12) Now twist the ends around each other, as though they had linked arms. 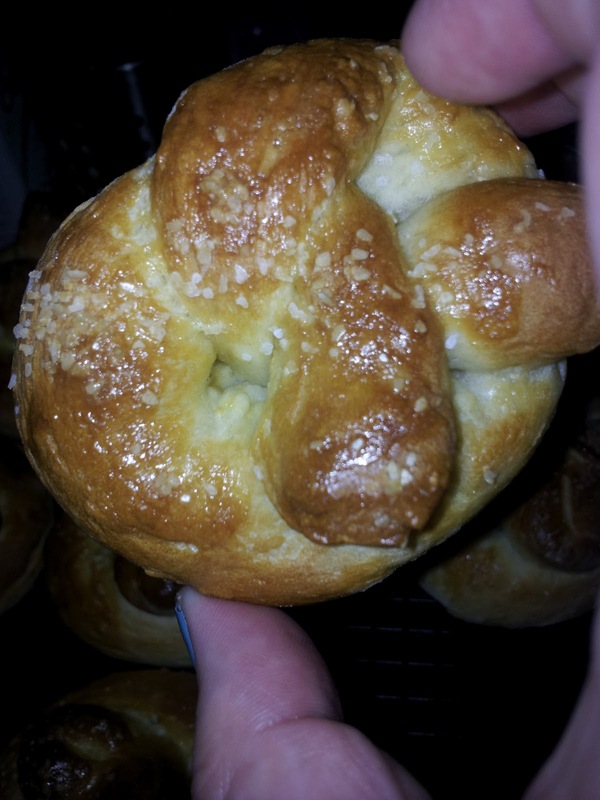 13) Secure the ends to the sides of the pretzel; it will appear quite loose at this stage. 14) Repeat to make 16 pretzels, placing them on baking sheets lined with parchment. 15) Cover with plastic wrap and a towel. Leave in a warm place for 30 minutes, until puffed up. 16) Preheat the oven to 400°F (200°C). Mix the soda in 2 tablespoons boiling water. 17) Brush the pretzels with the mixture. This gives them a dark color and chewy exterior. 18) Scatter flakes of sea salt or sesame seeds over the brushed pretzels. Bake for 15 minutes. 19) Remove from the oven and brush with a little beaten egg. Bake for another 5 minutes. 20) Remove from the oven. 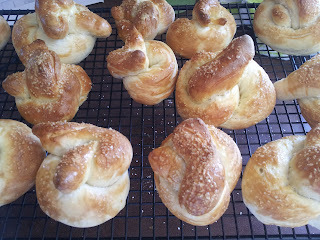 The pretzels should be dark golden brown with a shiny finish. 21) Transfer to a wire rack and leave to cool for at least 5 minutes before serving. See what detailed instructions the book provides, no second guessing yourself or calling up Mom wondering what the heck something means. The rolling and shaping photos above are straight for the book, giving you exactly what you want to know! They are amazing!!! Better than any soft pretzel I have ever had, and a million times better than those frozen ones we've tried from the grocery store. 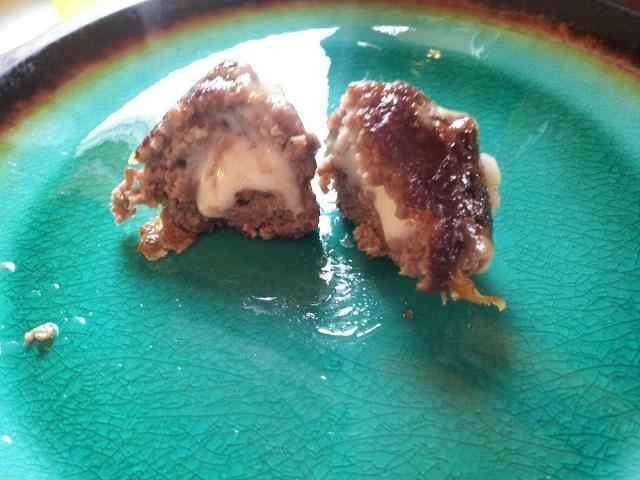 Perfect for a snack, impress your friends and family at a party, these are SO GOOD!! Surprisingly easy to make as well. 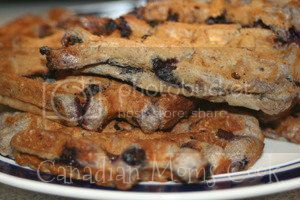 Thanks so much to DK Canada for providing me with Step By Step Bread and letting me share this amazing recipe with you. 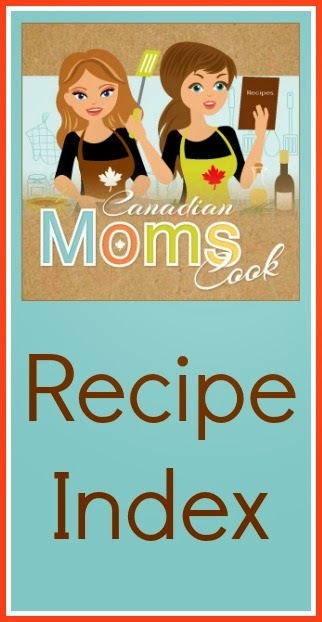 Keep watch to see how more delicious recipes from this book goes! We love banana muffins in our house and what better way to use up your brown, ripe bananas than to bake with them, right?! I have shared this recipe the way that I re-typed it for my daughter when she was 6 years old and she insisted that she could bake muffins all by herself without any assistance other than with the oven. They turned out perfectly and she proud as punch. 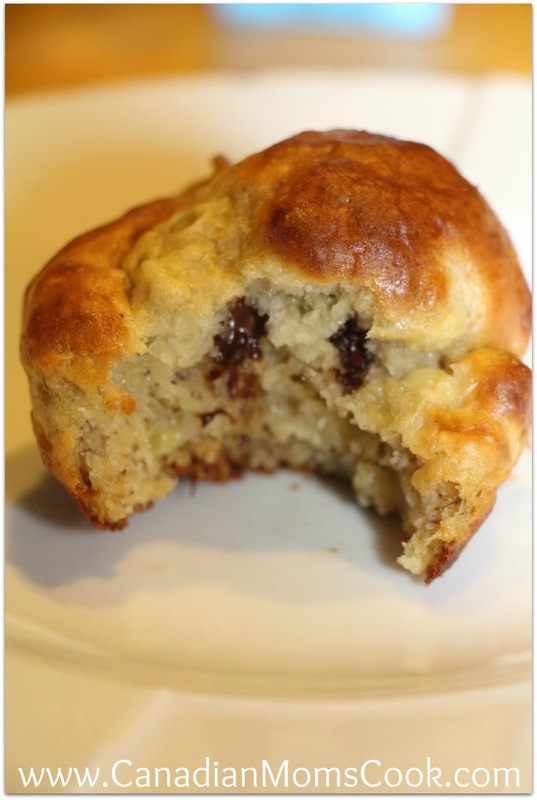 This is a very easy and fast muffin recipe. 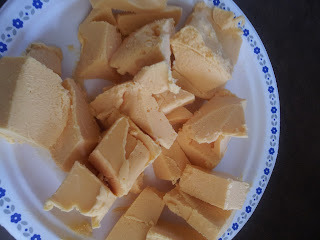 You can whip them together in less than 10 minutes and within 30 minutes, you will have a nice warm treat or breakfast on the table. Note: Don’t forget to ask help from an adult if you are not sure. Step 1: Be sure to have clean hands before you start! Step 3: Measure out all dry ingredients (flour, sugar, baking powder, baking soda) in a large bowl. Step 4: Mash bananas on a plate with a fork. Step 5: In a small bowl, mix together egg, oil, vanilla and yogurt. Add banana and stir. Step 6: Add wet ingredients to dry ingredients. 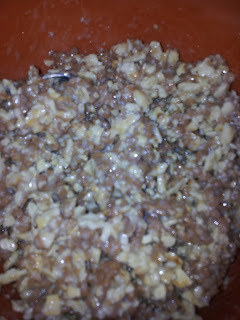 Add chocolate chips and gently mix (don’t over mix because muffins will be too tough). 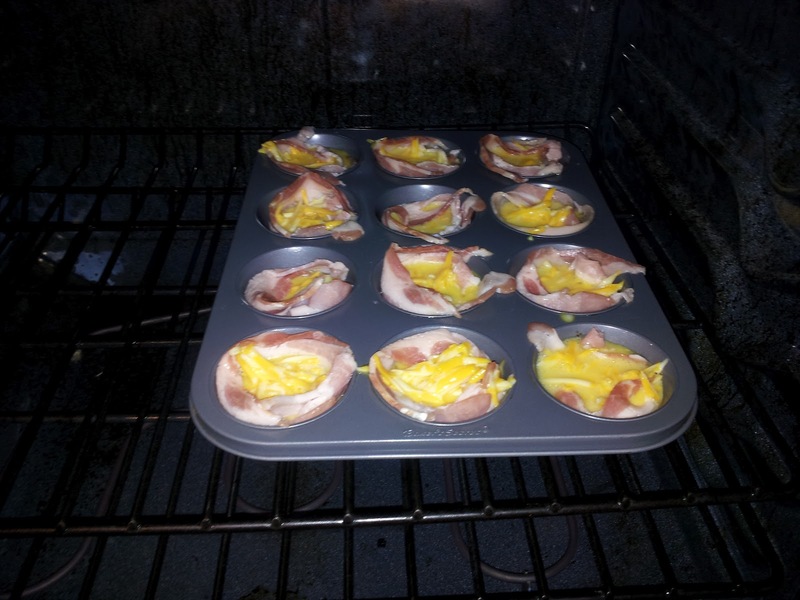 Step 7: Put muffin papers in muffin tin. Step 8: Put ¼ cup of muffin batter into muffin papers. Step 9: Bake for approximately 15 minutes or until toothpick inserted comes out clean. We have been trying to bake healthier in our house. Although the healthier version never turns out as light and fluffy as the regular version, knowing that they are better for us makes it worth it. 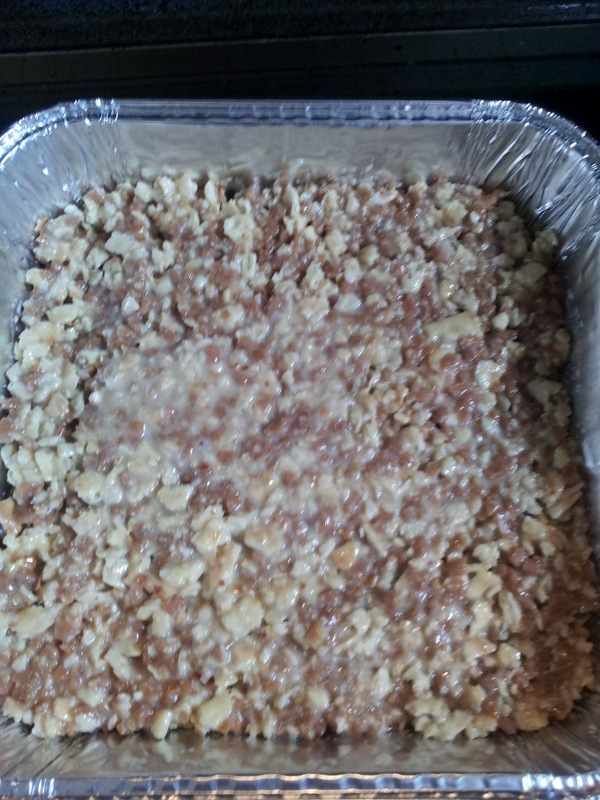 Here is our healthier version of my sister's original recipe. These muffins don't last longer than a day in our house. Mommy usually sneaks one or two to put in the freezer for school lunches first! I got a tasty tip from one of the Mom's at school, she recently had this drink at her sister's and thought it was really good! So I had to try it for myself, here's how it went. Leave out the Vodka for a mocktail and the kids will enjoy it too! 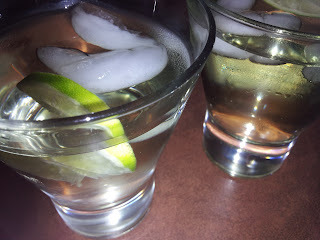 Very refreshing and a great summer drink! A new one to try on your friends this long weekend. I'm pretty proud of this Chocolate Chip Cookie recipe, They are a huge hit at every family event, everyone asks for them all the time. You may notice it has more flour and vanilla than a typical cookie recipe. 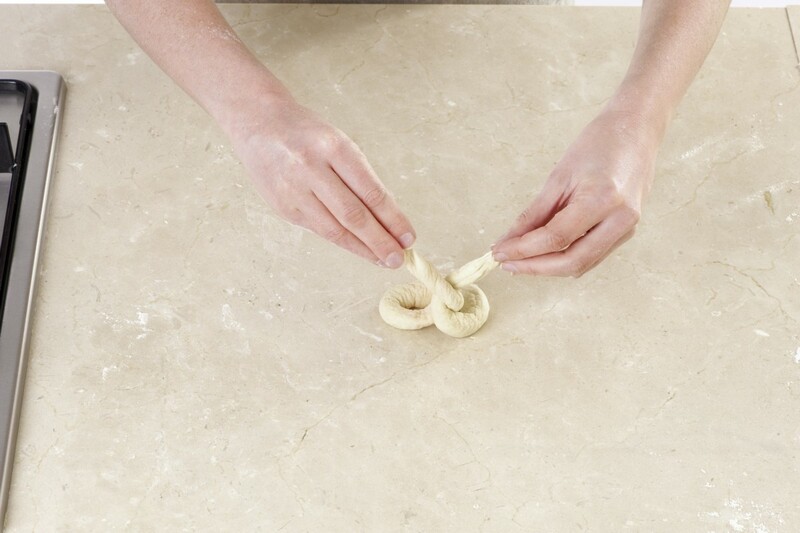 This creates easy to work with dough, and big, tasty cookies! Mix thoroughly in a large bowl.. 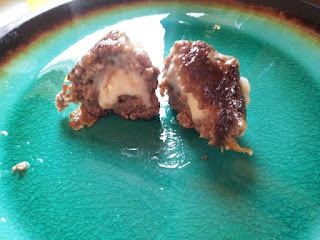 Roll into small balls, place on cookie sheet and Bake 8-10 minutes and 375. As I said, my family absolutely loves them - kids and adults alike. 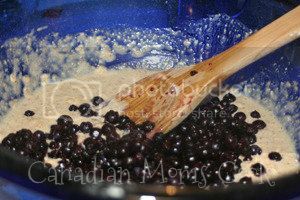 I usually set aside some of the dough before adding the chocolate chips in for my Mom, and add raisins in for her instead. 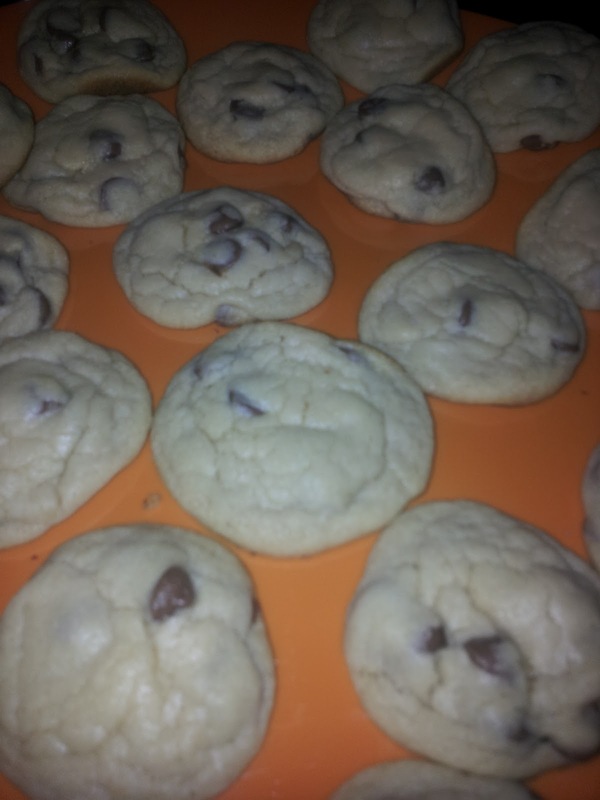 Trust me, these are better than any recipe off the back of the chocolate chip bag, and one you'll be famous for! I was inspired by a friend posting their Twice Baked Potato and Ground Beef Pie to create my own home made shepherd's pie. 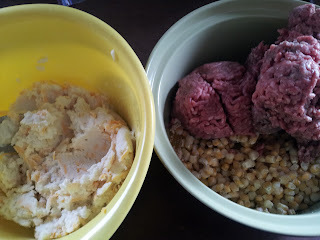 In researching a few recipes online, I found out if you use beef then it is not a shepherd's pie! The term "shepherd's pie" should be used when the meat is mutton or lamb, as the origin of the name being that shepherds are concerned with sheep and not cattle. If you are going with beef it's known as Cottage Pie, so without further adieu, here is my Cottage Pie recipe.. 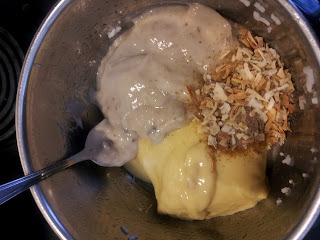 In a separate bowl (or dish you are cooking in) mix together.. The kids thought it was *okay*, at their age they do not like so much mixed together. 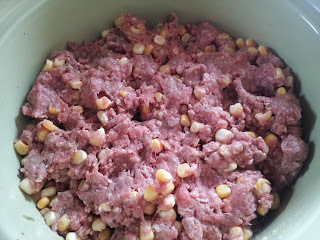 Hubby and I absolutely love it, I think the corn really helps to keep the meat mixture loose, so it doesn't feel like you are eating a huge chunk of meat. 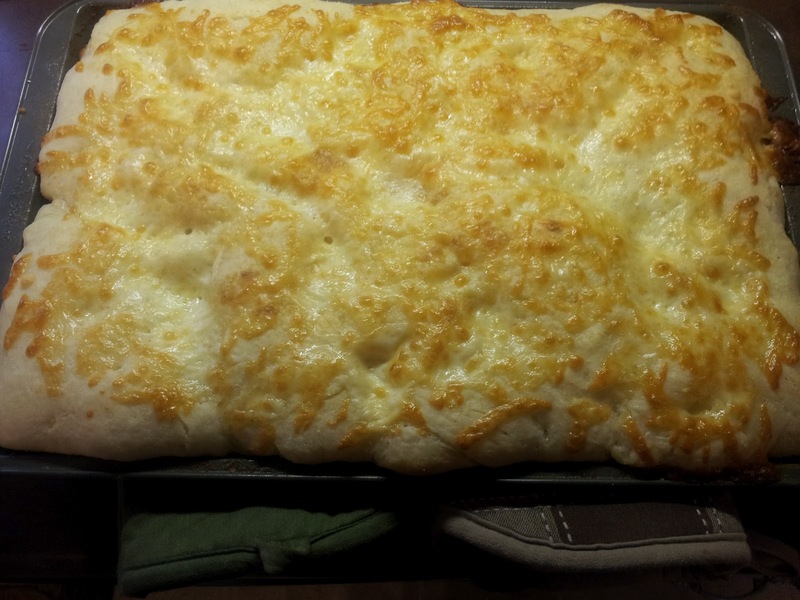 The potatoes are so delicious with the cheese. Hubby enjoyed the left overs for lunch the next day as well. Will be making this one again and again! 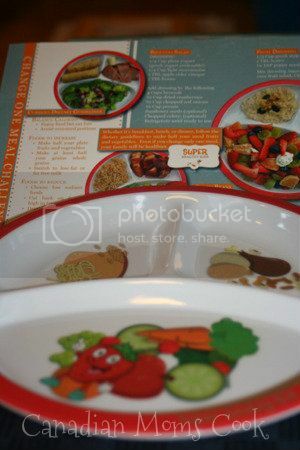 Super Healthy Kids has some really fun plates for children. The plates are sectioned off by food group. They even have plates for vegans and vegetarians! These are wonderful for picky eaters who enjoy eating everything separate. The Super Healthy Kids Website is a fabulous resource for parents! They have specific meal ideas using their food group plates that are laid out with beautiful photos. They also have a wonderful recipe index with ideas for Breakfast, Lunch, Dinner, Snacks, Healthy Desserts and Bread Recipes. 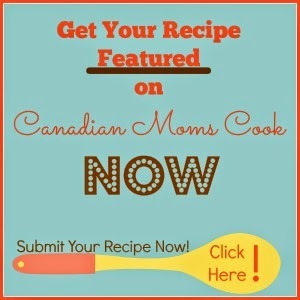 Their recipes are indexed by beautiful photos with scroll over words! Check out these amazing Breakfast Recipes! This one is fun and PERFECT for busy mornings (like Christmas!). My boys, who don't *really* like eggs loved these! We've turned eggs into finger food and that's exactly what we needed. I spied the recipe on Pinterest and it lead me to a really fun site - Fat Girl Trapped in a Skinny Body. 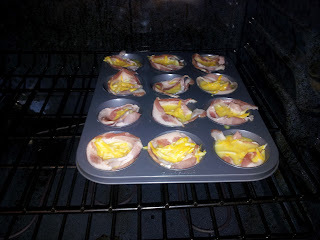 I followed the recipe exactly, except for spraying the muffin tin first. I should have, while they didn't stick for getting them out (thought mine didn't look quite as nice as they do on the Fat Girl site), they made a mess that was no fun to clean and I think if I had sprayed them first that would have been easier. Everyone loved them, even the kids! Next time I make them we're thinking of putting onions in a few, would taste like a western! Really the additions are endless - maybe some ham, pepper, different cheeses, etc. 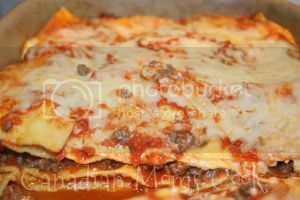 Who doesn't love a good old traditional home made lasagna?! I've always found them to be somewhat time consuming or overwhelming to make, but not any more! Please feel free to visit my review of Olivieri Whole Grain Lasagna Sheets over at Multi-Testing Mommy! Heat olive oil on medium heat in saucepan. Add onion and cook until translucent. 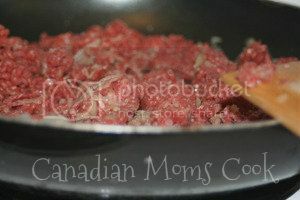 Add garlic and ground beef and continue cooking until beef is fully cooked. 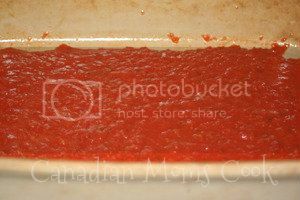 In a 9x13 pan, pour a small layer of tomato sauce. Mix egg and Ricotta together and place 1/3 of mixture on top of tomato sauce. 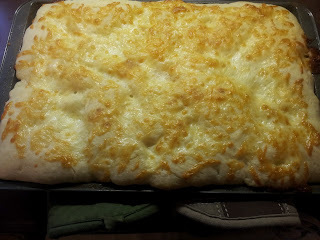 Put a layer of shredded cheese on top of ricotta layer. 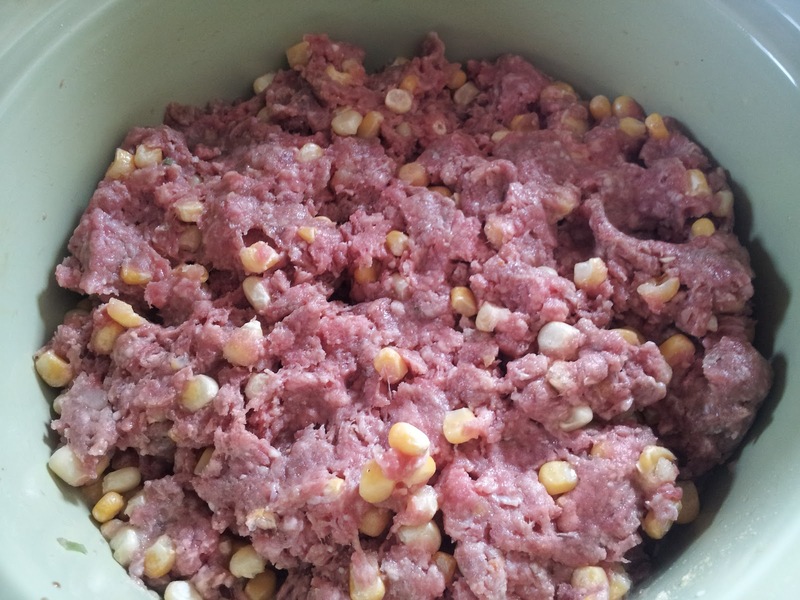 Put a layer of ground beef. Repeat Steps 3-6, ending with tomato sauce and shredded cheese. Bake lasagna covered with foil for 1 hour at 350 degrees. For the last 10 minutes, remove foil. Let lasagna sit for 10 minutes prior to cutting and serving. I have relatively picky eaters in my family, hubby included! This dish didn't go over so well with the children, even though the last time we ate lasagna, they both couldn't get enough, however that was a year ago! A lot can change. For my husband, he couldn't get enough of this delicious dish and neither could I. I thought we would be able to freeze some, but we ended up eating it for left overs twice! Heat oil in pot on medium-low heat. Cut onion and add to pot. Cook for 5 minutes, stirring frequently. 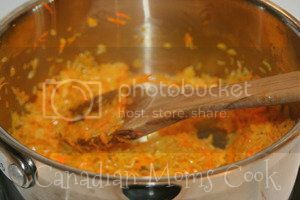 Add garlic and carrots. Cook for 5 minutes, stirring frequently. Add rice to pot. Stir and cook for 1 minute. 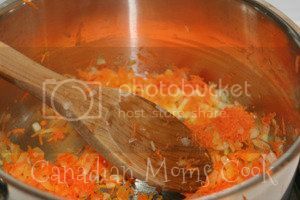 Add chicken stock and boiling water to pot (if vegetarian, replace with vegetable stock). Stir and bring to a boil. Reduce heat to low and cook for 30 minutes, stirring occasionally. 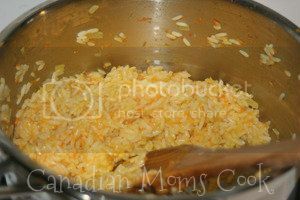 If rice isn't cooked but the liquid is gone, simply add 1/4 cup - 1/2 cup more boiling water and cook it off. Mom finds that this is a great way to hide a vegetable! This recipe is slightly easier than traditional risotto in that you don't have to keep adding water, you only add the liquid once and cook it until the rice is done. 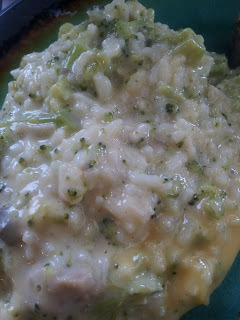 The kids love adding "sprinkles" to their risotto (the parmesan cheese). This makes a great side dish to any meal! This recipe I've seen many times, with many variations, on Pinterest. Even our own Multi-Testing Mommy shared a Greek variation with me that got me attempting it for myself. 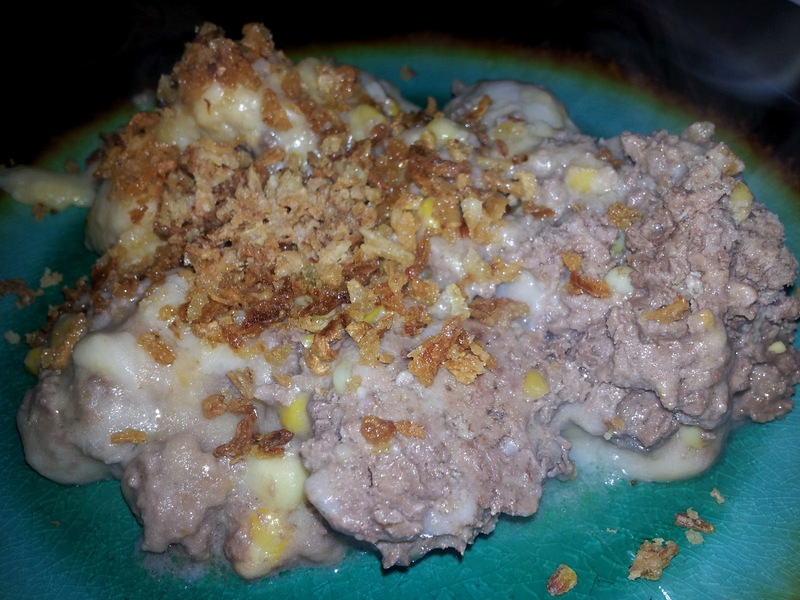 As I said, I've seen this recipe many times from many different sites on Pinterest, here is one found on the Picky Palate that I happened to pin myself. I think everyone has their own homemade meatball recipe, I don't usually put mustard in mine, but might try that next time! 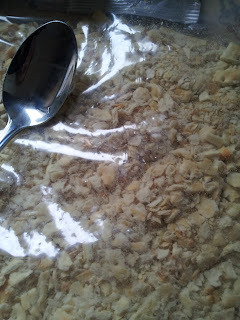 I also use regular bread crumbs and no milk, but to each his own in this case I think. I also have not seen those cute little balls of mozzarella, so I just cut small squares from a brick. Delicious! Everyone was pleased, and I was pleased it worked! Perfect for a sandwich, a side dish, an appetizer or on top of spaghetti, this is just so good!! As you've probably guessed by now, I'm on a bread kick lately! 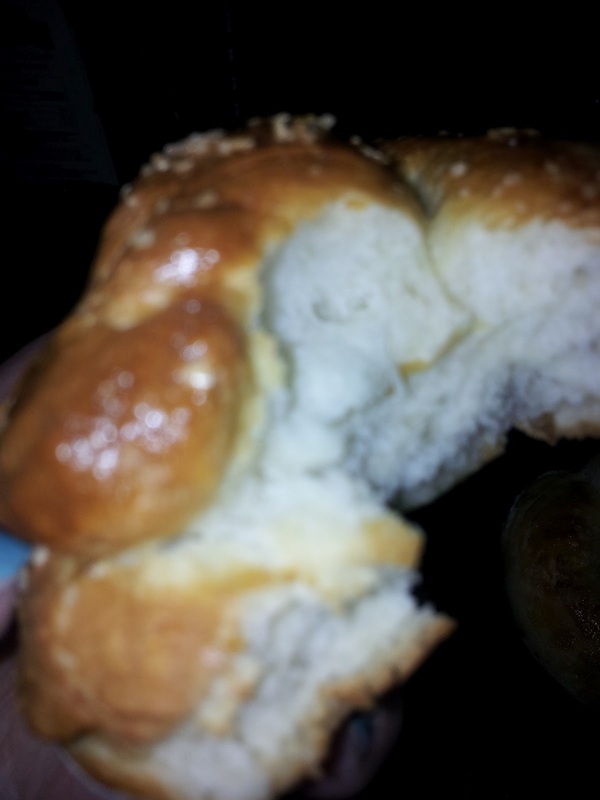 It's one thing I usually shy away from, I remember making bread and buns with my Gramma and it taking allllllllll day. 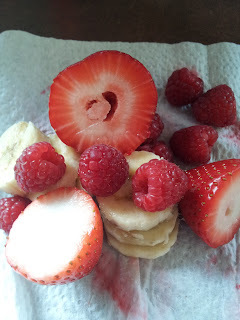 I've found another recipe that's quick, easy, tasty and well, not really good for you, but tasty!! The recipe came from this site. I followed the ingredients exactly. The dough was veeeeeeeeeery sticky and hard to work with. 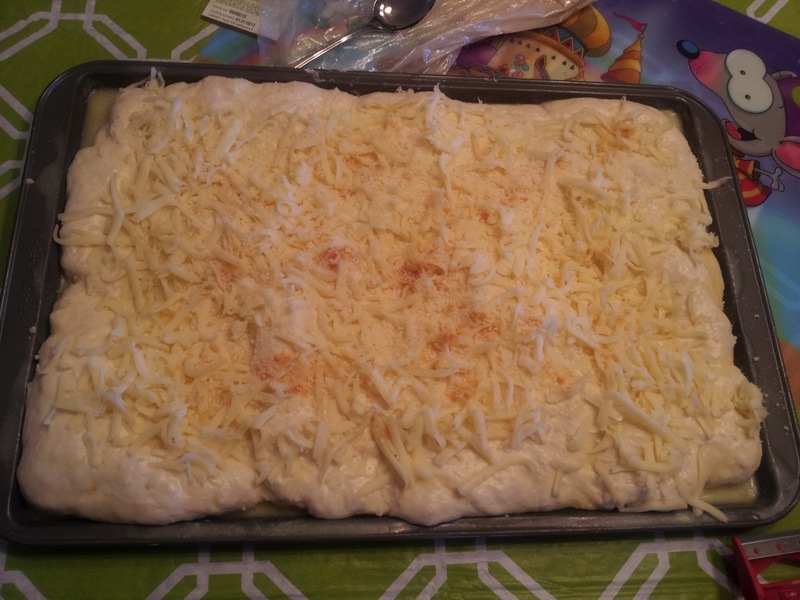 I was not able to roll the dough, I just put it on the buttered cookie sheet and spread it with my hands, this worked fine for me as it evened out when it rose. I suggest using a big cookie sheet, I used a small one and the bread was very thick, if you use a bigger one it would spread out more. So good! And yes, it does taste like Pizza Hut! I think the butter on the bottom of the pan does it, so it fries the bread a bit and that's what Pizza Hut must do as well. Very "melt in your mouth". Everyone in the family enjoyed it and we will be making it as a treat again in the future! They don't call me "Mommy the Messy Baker" for nothing! I have a Cuisinart waffle maker and it has took me four different recipes, a lot of messes and quite a long time to "master" making my own waffles. The first time I made waffles, the waffles grew and they grew and they grew. They kept growing, I honestly thought they were going to land on the floor! I thought that halving the amount of batter that went into the waffle iron would fix the problem. I thought that changing the recipe would fix the problem. 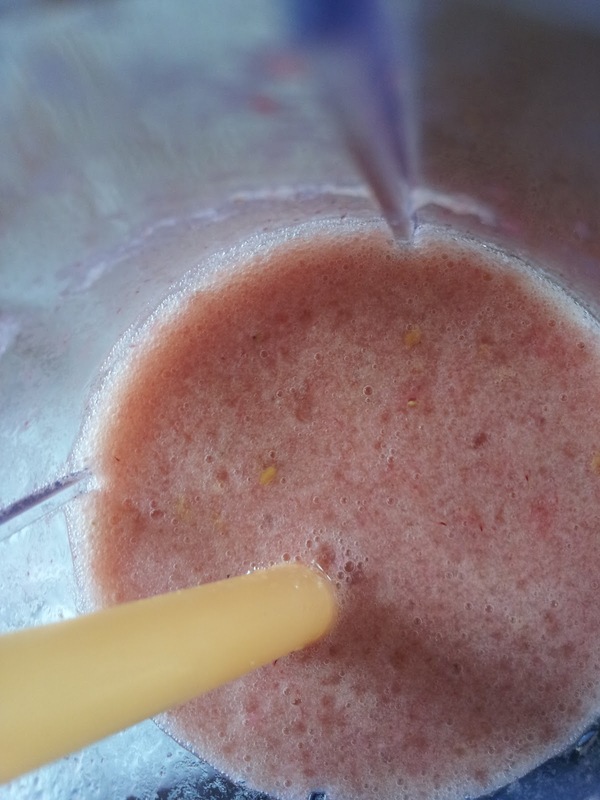 This final recipe is by far my favourite and it's healthier too! These waffles freeze well, if they make it that far. Turn on your waffle iron (I use setting #2 which is on the low side) and let it heat up while you are preparing your batter. It is important to allow your iron the proper amount of time to heat up (approximately 10 minutes) in order for your waffles to cook properly. In a large bowl mix flour, oats, baking powder, salt and sweetener of choice. 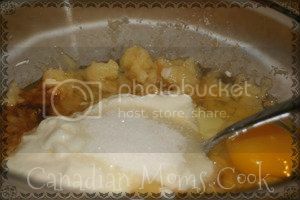 In a medium bowl, mix milk, egg, oil, vanilla and lemon juice. Stir into dry ingredients. Pour 1/4 cup of batter for each waffle. Cook 5 minutes. I have made these without the salt and they have turned out just fine! 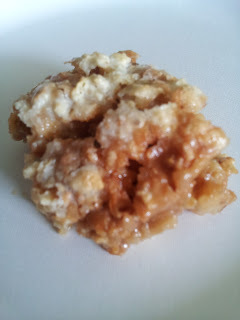 I have switched the Brown Sugar for Maple Syrup and they taste super yummy. Even if your waffle iron beeps (if yours has a cooking sensor), continue to cook your waffles for the full 5 minutes. The only time you may want to change this time is if your waffle iron doesn't have a temperature setting. My kids LOVE these homemade waffles for breakfast, lunch or dinner. They have become the food of choice on Thursday nights before we head out for skating lessons. I made them one Thursday and then every Thursday after that, the kids have asked me if we are having "those yummy waffles that you make" for dinner. 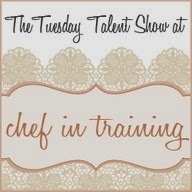 So, I guess our menu plan for Thursdays has been made for a while! 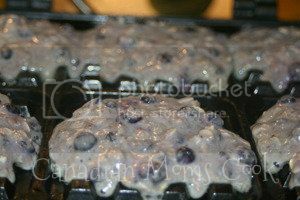 I love the moist blueberries in these waffles, although I have made them with strawberries too when I had no blueberries. I typically use frozen wild blueberries, rinsed right out of the freezer. The batter turns purple, but there is nothing wrong with that! We find these waffles so yummy, that we often don't eat them with syrup, that is saved for "treat" waffle days. I often serve them with yogurt and cut up fresh fruit.